Are you not a member yet? Receive the best offers in your email by configuring your subscription section. Fill your personal information! This way we'll be able to send you better plans. Your time is gold! You will soon receive our proposals. Norway's cuisine is mainly characterized by being rich in fish and seafood. It is famed for its salmon, but also for dried cod, whale meat, king crab or game meat such as elk or reindeer. It is a light cuisine, but very tasty, since many of its dishes are usually accompanied by mild sauces. 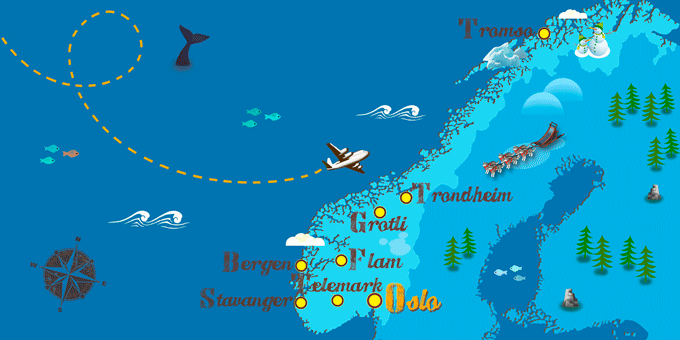 If Norway has caught your attention, leave us your number so we can call you to discuss the voyage that awaits you. Or leave your phone number and an expert on this destination will contact you.